Fact: two great things about summer are tattoos and beer. If you don’t happen to drink alcohol, then I guess you probably don’t agree with that. Sorry. But for those of you who do drink alcohol, I know that you know how good a nice cold one tastes on a hot day. Actually, to be honest this article doesn’t really have anything to do with summer. I just wanted to mention how awesome summer, tattoos and beer are. Needless to say, the campaign to see faithful beer drinkers tattooed with the logo is not going over very well with many. The Scottish Licensed Trade Association for example, recently called the very notion of a lifetime’s worth of free beer in exchange for a tattoo “abhorent”. Okay, yeah, it’s a pretty stupid idea. 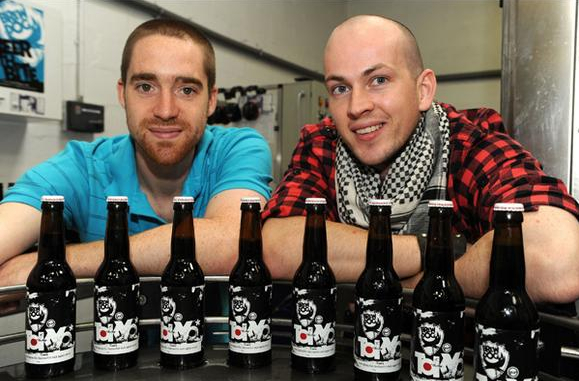 The thing is, I would be very surprised to see BrewDog actually go through with it all. I think these people are greatly underestimating exactly how many people would be willing to get a tattoo in order to have free beer for life. Once they see how many beer devotees there are out there and how much money they stand to lose as a result, something tells me that they’ll be backing out of the deal very quickly – or at the very least, limiting the amount of people permitted to participate. Until such a time however, if you’re a beer and tattoo lover then you might want to consider taking a visit to Aberdeen, Scotland this September.